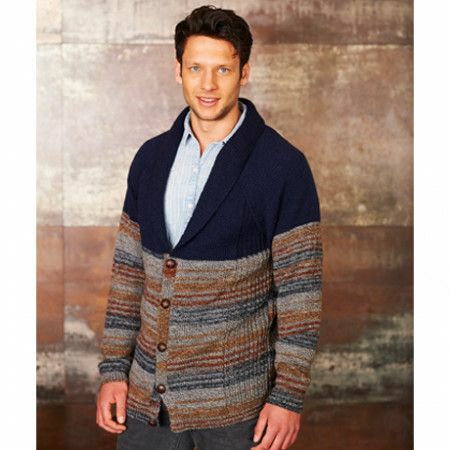 Shawl Collared Cardigan and V Neck Cardigan knitted in Life Vintage Look DK and Life DK. Main shade in pattern: Autumn (1499) which is now discontinued. Stitch Holders are also required. Alternative yarns: Life DK, Special DK, Alpaca Tweed DK. Main shade in pattern: Forest (1424) which is now discontinued. Stitch Holders are also required. Alternative yarns: Life DK, Special DK, Alpaca Tweed DK. To Fit Chest 36/38" to 48/50"